Tortoiseinfo.org - Some very cool pictures showing just how cute and tiny a spotted turtle hatchling is. 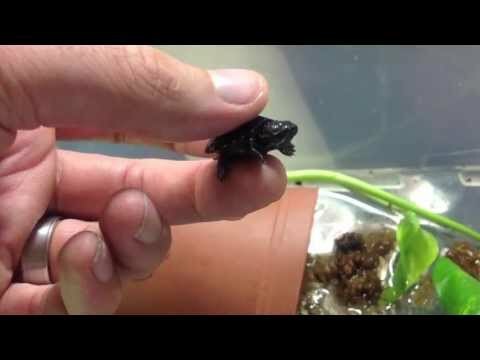 YouTube - Anthony from theTurtleRoom shares a quick video of what just might be the world’s smallest turtle hatchling, a tiny little stinkpot or common musk turtle (Sternotherus odoratus). TortoiseForum.org - Some very cool pictures of a tiny redfoot tortoise hatchling that is just about the size of an old-fashioned American silver dollar. TortoiseForum.org - Some cool pictures of a cute turtle chowing down on the water hyacinth that fills its waterland tub.